A memorial can honor one person, or many. At its simplest, a memorial might be just a headstone in a cemetery, such as the ones we've shown from the Downey Cemetery. 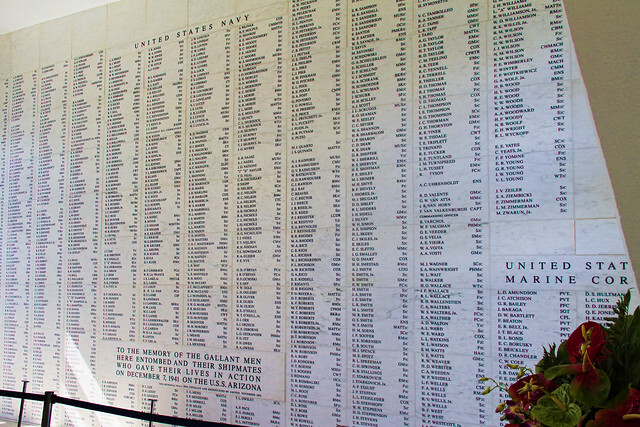 Or, as in the wall above, it can honor the 1,102 seamen who died in the USS Arizona on December 7, 1941. 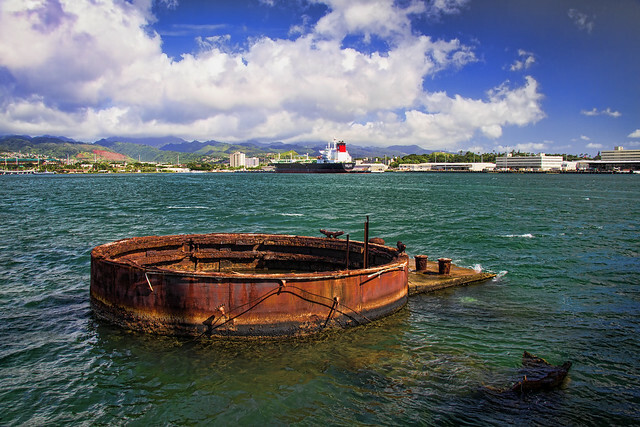 This wall is part of the USS Arizona Memorial, which sits just above the sunken ship.